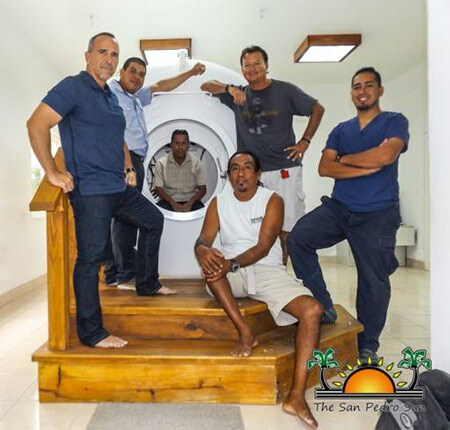 The Belize Chamber Project Limited Hyperbaric Chamber facility in San Pedro Town, Ambergris Caye, opened its hyperbaric facility in May of 2015 to the diving community. 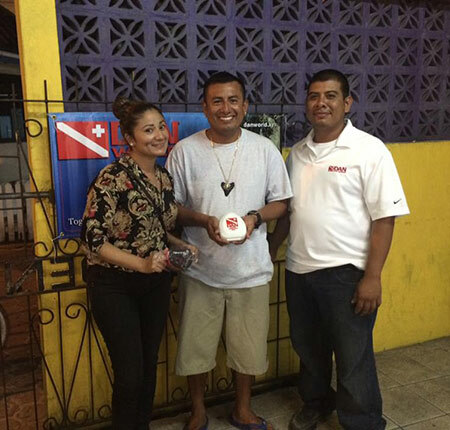 The Belize Chamber Project started its operation with the full support of all the dive operators and conservation organizations here in Belize. 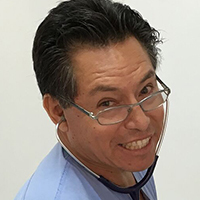 We are conveniently located in the Ambergris Hopes Clinic Medical Facility, which is owned and operated by Dr. Daniel Gonzales. 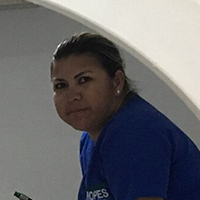 The Ambergris Hopes Clinic has been serving the Belizean community for decades as a vital part of the medical services program here on La Isla Bonita. 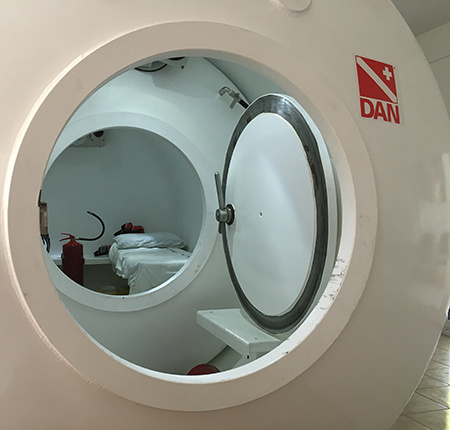 We are the only hyperbaric facility in Belize that is a DAN Preferred Provider. Our facility has accomplished a lot in a small amount of time. 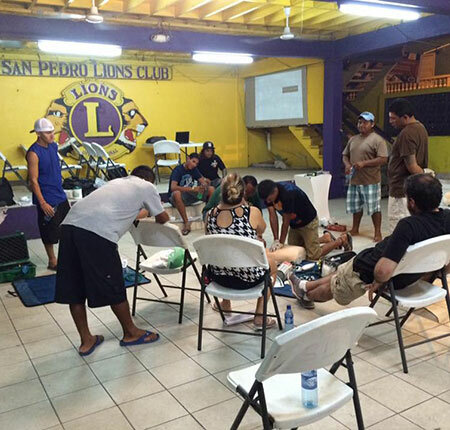 We have proven to be the leader in treating dive related injuries and we look forward to working with everyone here in Belize to promote diving safety. 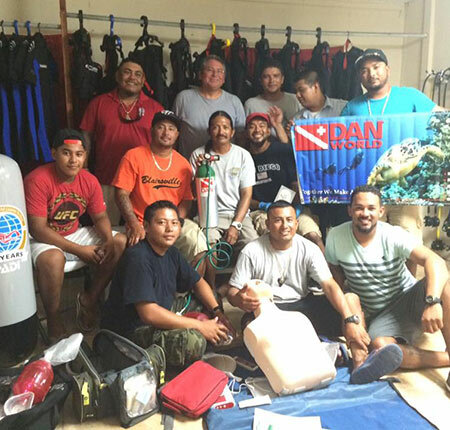 The Belize Chamber Project Limited would like to extend a warm appreciation to all dive operators, conservation organizations, dive masters, dive instructors and everybody here in Belize for the support shown to our hyperbaric chamber facility. Without their support we would not be here today. Please contact us if you want to add or update information in our map. 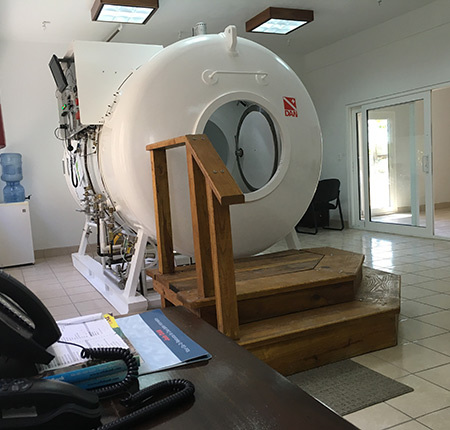 Our hyperbaric chamber facility is availabe 24 hours a day and 7 days a week for any dive related injury. 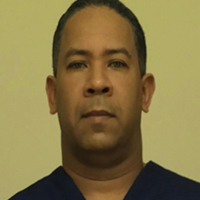 It is operated by a professional staff that consists of certified hyperbaric chamber operators, attendants and physicians. We also offer ongoing training and education to dive operators, conservation organiztions, open water divers, dive masters, dive instructors and any individual interested in diving safety. 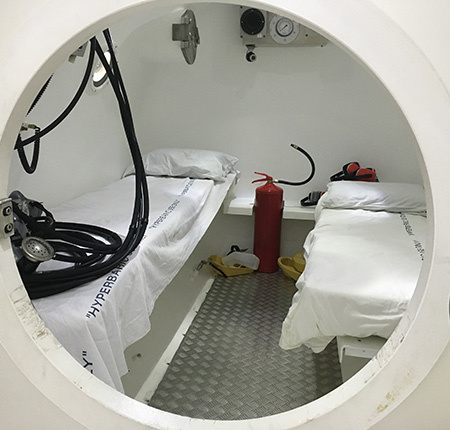 We welcome everybody to come and visit our hyperbaric facility and learn how the hyperbaric chamber helps divers to recover from dive injuries. We offer tours for free and are open to the general public. Learn more about DCI and DCS in the DAN article, "Decompression Illness: What Is It and What Is The Treatment?" 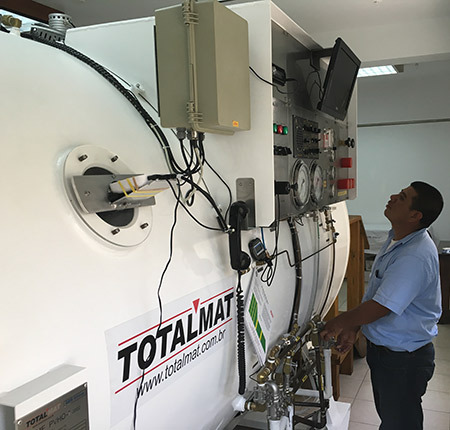 We are very proud to have the newest and largest double lock hyperbaric chamber in Belize. 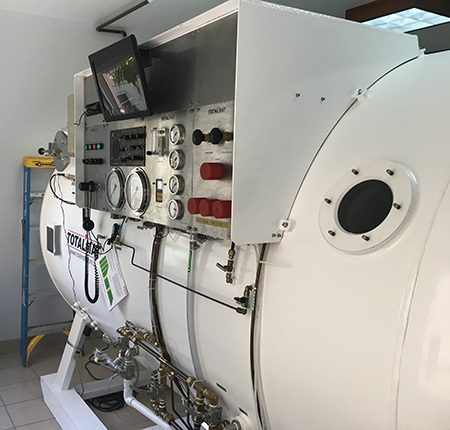 Our state of the art hyperbaric chamber facility has met all international standards and regulations stipulated to operate a hyperbaric chamber. Our main lock compartment is capable of treating up to four divers in the case of a dive emergency. 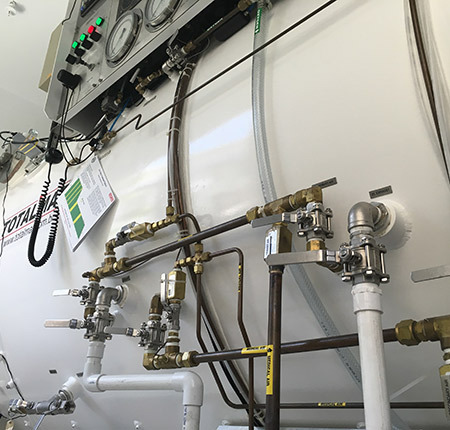 The hyperbaric chamber is 5.90 Feet in diameter by 11.81 feet in length. 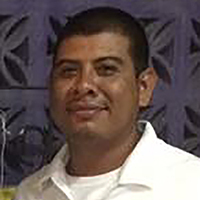 We strictly adhere to the protocols of the United States Navy treatment tables. We maintain communication and also monitor patient and chamber attendant at all times during treatment. In addition to treating Decompression Illness (DCI) in recreational divers, we also offer diagnosis and treatment for other dive related Injuries such as ear Infections and barotrauma. We also have the service of our X-ray machine in case of a suspected lung injury. Our facility includes a waiting area, patient examination area and a patient ward. 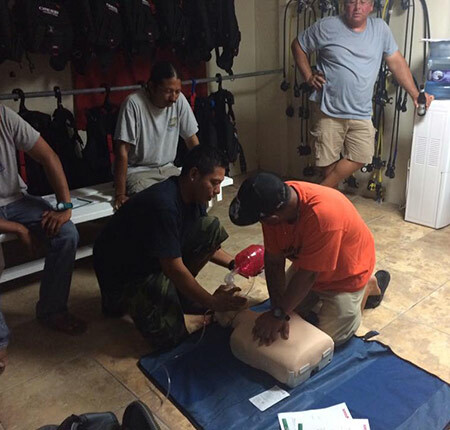 This is in addition to the other services offered by the Ambergris Hopes Clinic in case of a dive or non-dive related injury.